Also known for voicing Jinx in League of Legends and Peacock in Skullgirls. I’m bad for ignoring voice actors however after rewatching hxh for the 6th time and first in english i was extremely impressed with Sarahs voice acting skills for pitou. The amount of emotion in her voice was rather frightening. keep it up. Hey Miss Williams, I don't know if you look at this at all, but you're a great voice actress! Keep up the great work. You're an inspiration. I agree with Afro and Compa. 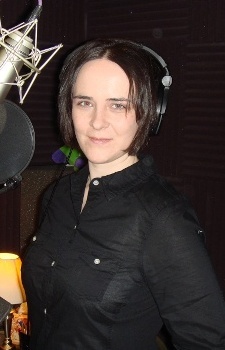 Sarah Williams is easily one of my favorite voice actresses. I met her twice this year! Karin's voice work was sublime, thanks for your effort!